Today, I need to keep my commentary short, which is hard for me to do. Tomorrow is a long day, 15 miles with a big “up and down” at the end. Today was also not easy, but we are now solidly heading east, across England. 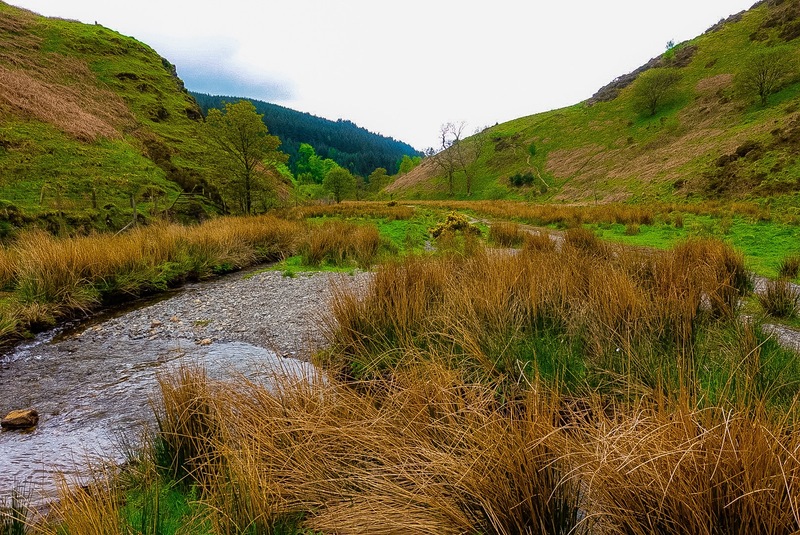 We walked about 12 miles from St Bees on the coast to Ennerdale Bridge, the gateway to the Lake District. 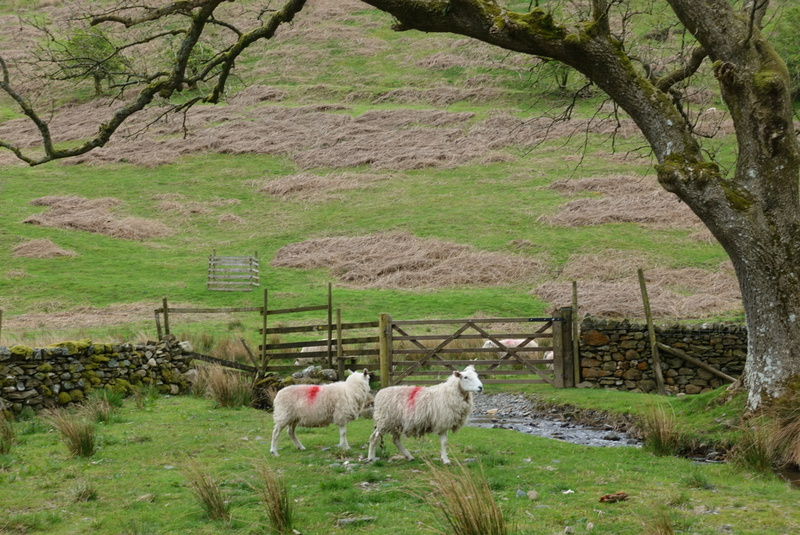 Heading east, with the end of our walk yesterday on the other side of The Valley. Just a side note: After I posted yesterday, I went onto the blogsite and saw a dozen typos and other mistakes. Yikes! I tried to correct everything, but it took about a half hour. If you opened my posting yesterday before that half hour was over, you would have seen all of my mistakes. You can read it again, if you like. It is mainly fixed, I think. Actually, that will probably happen with every post. I write at the end of the day and I am beat! 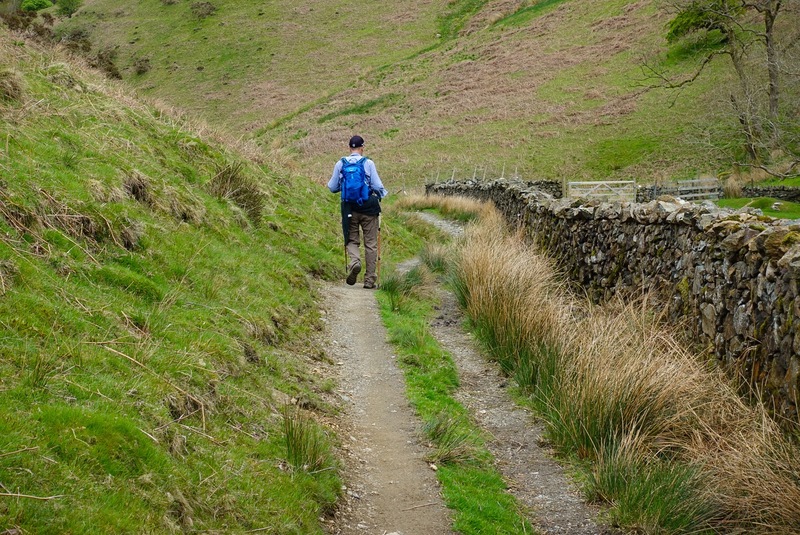 A “Wainwright Sign” – He is all over the Place with his Famous Walk! 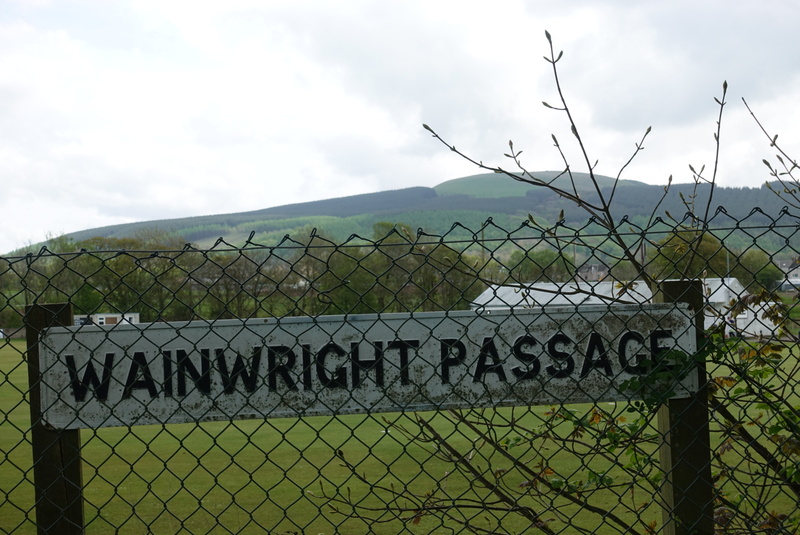 Behind the “Wainwright Passage” sign in the photo above is Dent Hill. It doesn’t look like much, but it was nearly a 1000 feet straight up and straight down, not even a switch-back trail – STRAIGHT UP and DOWN! That is hard on the feet, which, especially on the way down, are pushing against the front of your boot. Painful! 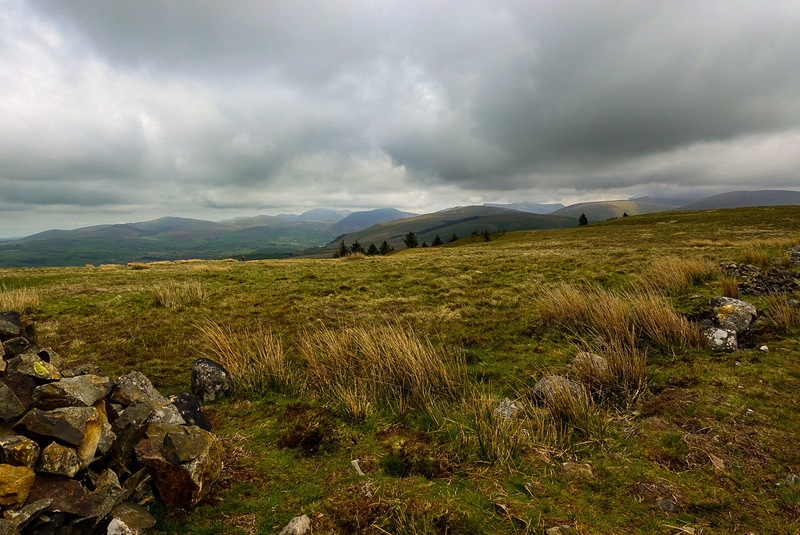 Top of Dent Hill, Looking into the Lake District and All of the Hills Ahead! 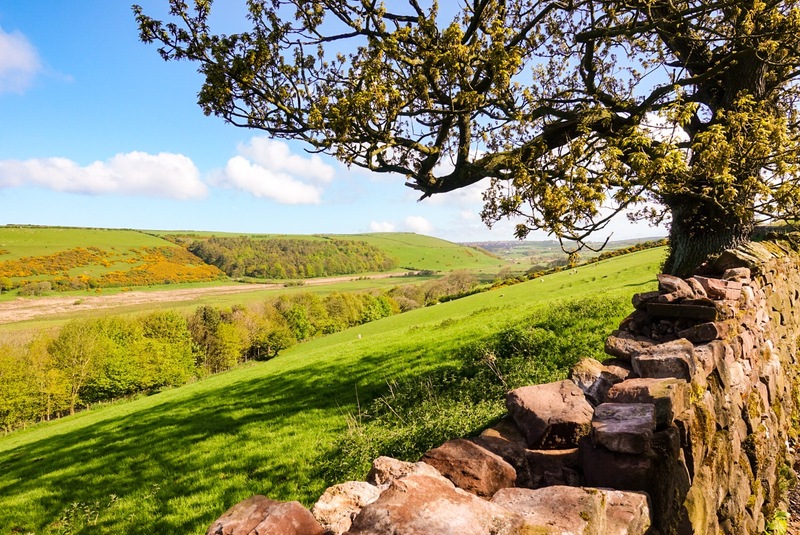 After putting Dent Hill behind us, we were rewarded with a beautiful little valley, with a pretty stream running through it – Nannycatch Beck (really, that’s the name!). We had lunch, but felt our legs stiffening up – at least mine were and I am only making an assumption about Joel’s legs. Happily, after coming out of this picturesque little valley, we had a mainly downward sloping trek into Ennerdale Bridge. 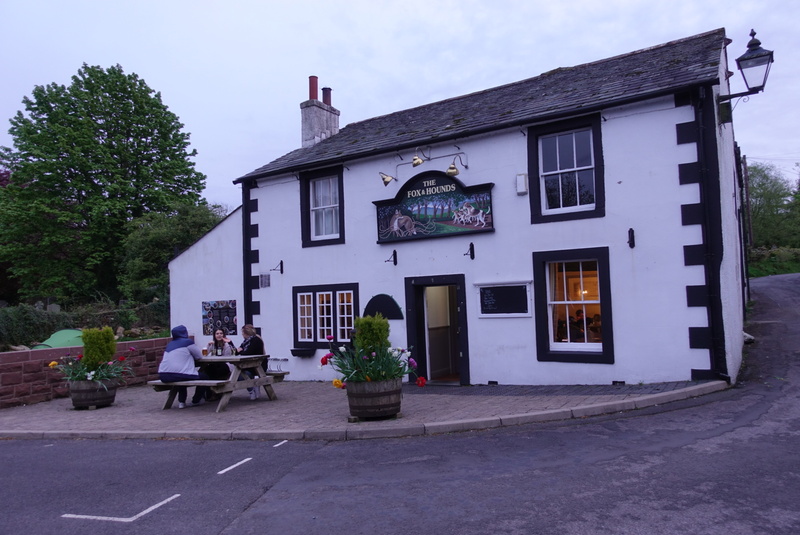 I will post a picture of our 17th century B&B tomorrow, but today I snapped only a shot of the 17th century pub, where we had our dinner, and where we met a number of Coast-to-Coasters, including Bob from Washington D.C., who has hiked everywhere in the world – literally! 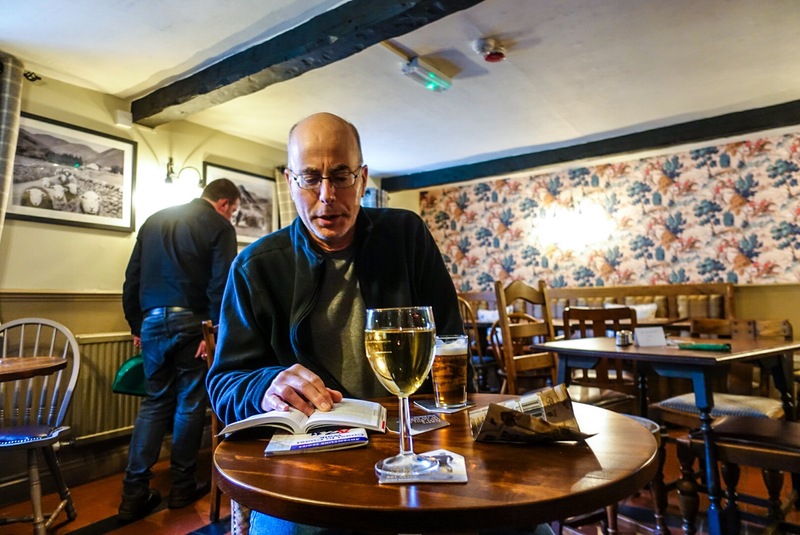 17th Century Pub – The Fox and Hounds – Fellow Coast-to-Coaster, Bob, the World Hiker! 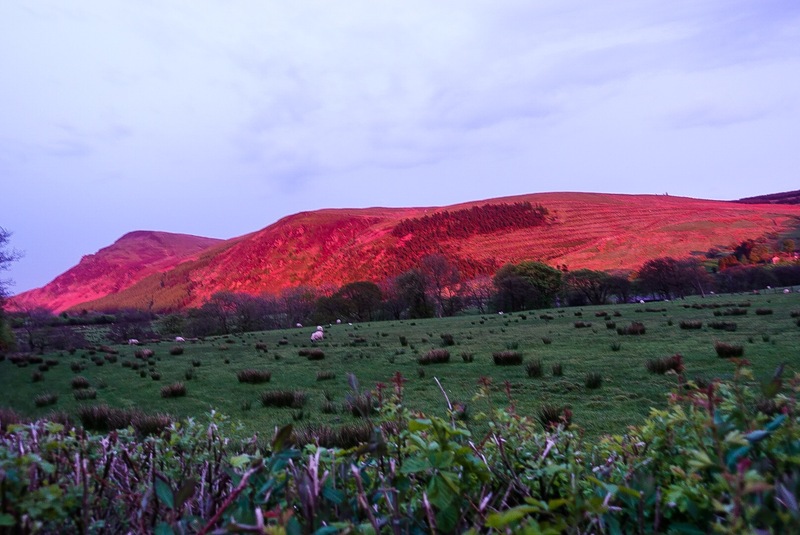 Walking back from the Fox and Hounds, the sunset treated us to glowing mountains. 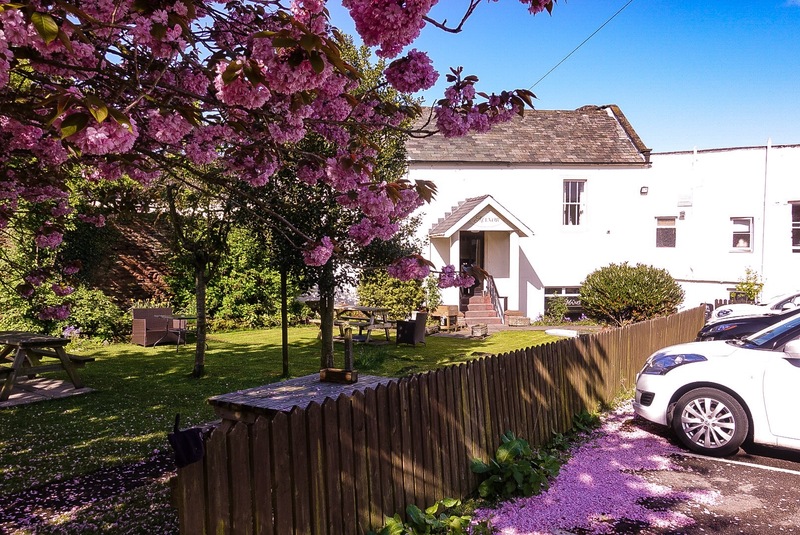 Our B&B hosts, Joan and Richard, told us that we are forecast fantastic weather for our next days in the Lake District! I will post the glowing mountains and sign off for tonight. Wow, what gorgeous scenery! Good luck tomorrow! Today was brutal! I will have another post up in about an hour! Just say the word and I will plan an adventure this summer! I would have a couple ideas already. Good! I will be in touch shortly! Hi Jeff – These posts really make my day. Your dry humor is coming through loud and clear. Great photos. If there is a Loch Ness-type monster in one of the Cumbrian lakes, I really hope you get a picture of it. Keep the posts coming. Hi Matt, another post is coming in a couple of hours. Annette, no blisters! But aching feet, legs, hip and back. But, apart from that, feel great! 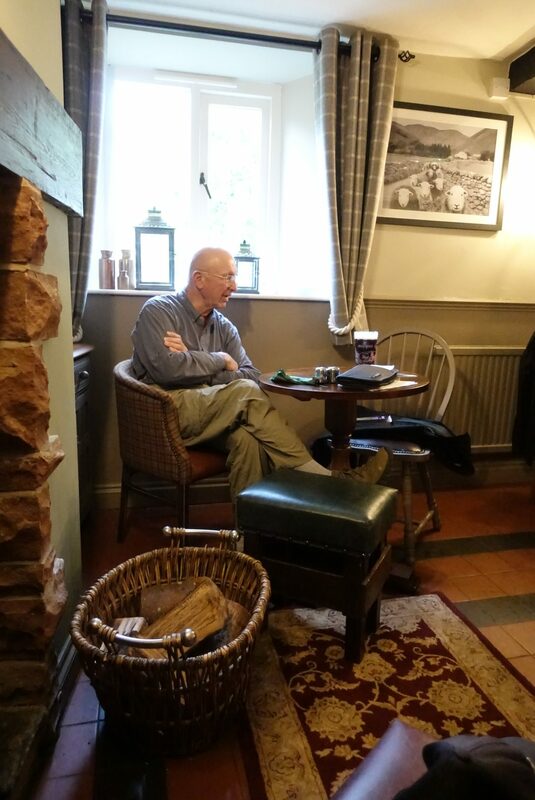 Previous Previous post: C2C Walk – Day 1 – St Bees to St Bees ? ?